Your time is limited after a DUI. Being accused of DUI is a serious and sometimes frightening matter. A DUI conviction can impact your job, your finances, and your family. It is imperative that your charge is resolved favorably, efficiently, and effectively to protect your livelihood. If handled improperly, a DUI charge can turn a lapse in judgment or an error in law-enforcement into a life-altering conviction. If you have been charged with a DUI, it is important to act quickly to protect your freedom. In South Carolina, the severity of the sentence is often dependent on whether it is your first offense or if you have been charged with DUI in the past. In either case, it is essential to contact us to discuss your defense immediately. At Truslow & Truslow, we believe that people deserve an opportunity to show that a singular mistake does not justify a harsh, lasting punishment. We have extensive experience helping individuals fight for their rights and have helped countless individuals have the charges against them reduced or dropped altogether. Our Columbia DUI lawyers are dedicated to fighting drunk driving charges. 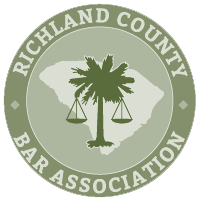 Contact our offices today at (803) 256-6276 to learn more about how we can help with your DUI case. Doug Truslow has been practicing law in South Carolina since 1975. He has a reputation as a tenacious litigator who gets results. Neal Truslow has been practicing law in South Carolina since 2009. His attention to detail and straight-forward approach enables him to resolve even the most complex cases favorably to his clients.